When you’re a Girl Scout, you’re part of something much bigger than just your troop or group. 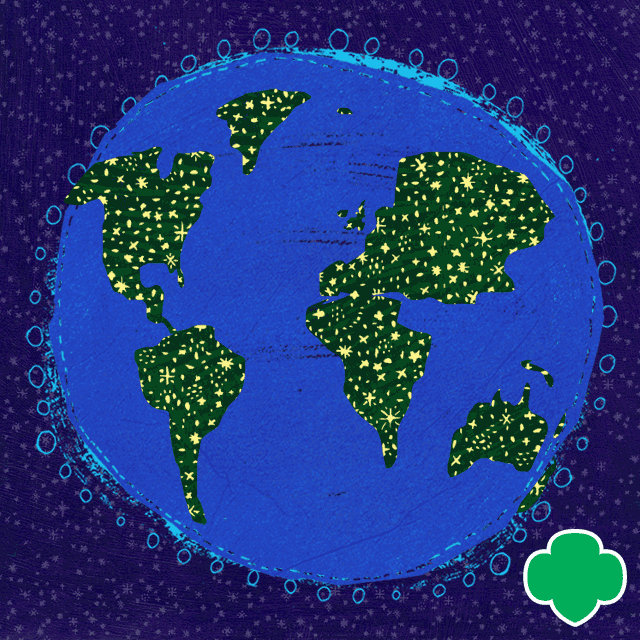 Your “network” stretches across your state, throughout the nation, and to more than 150 countries in the world where Girl Scouts or Girl Guides are found. Together, you’re a powerful force! Candles have always been a powerful symbol of friendship for Girl Scouts and Girl Guides around the world. This year, Girl Scouts and Girl Guides will light up social media with the glow of thousands of candles on World Thinking Day. So how do you participate? Here’s the short version: Light a candle. Take a selfie. Upload it to social media using the hashtag #guidinglight. Include a message that inspires others to do the same. And don’t forget to tag @girlscouts, @WAGGGS_world—and any other friends you might want to join you! Check out more details. Show that peace is in your hands! We all have the power to make changes for the betterment of our world. Learn about the international symbols for peace. Trace your hands and draw one of the symbols between them. If you want to start a conversation with members of your community, see if you can display your artwork at a community center, a local business, or house of worship. Invite community members to an “art opening” and talk about this year’s World Thinking Day theme. Earn your World Thinking Day award! 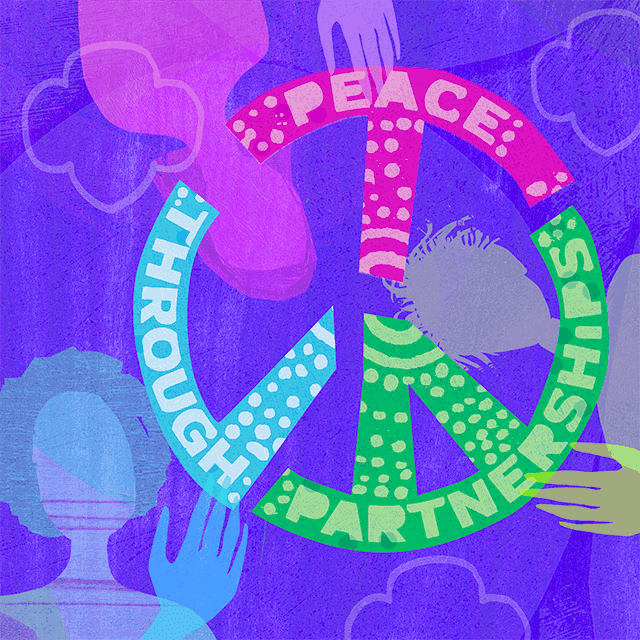 Explore this year’s theme, “Create Peace Through Partnerships”! There are lots of ways to participate. Reading books, watching movies, constructing a “peace pole,” inviting a returned Peace Corps volunteer to talk to you about her/his experiences… Girl Scouts of all ages can participate in World Thinking Day. Check out our list of activities by grade level. Questions about World Thinking Day? Learn more.